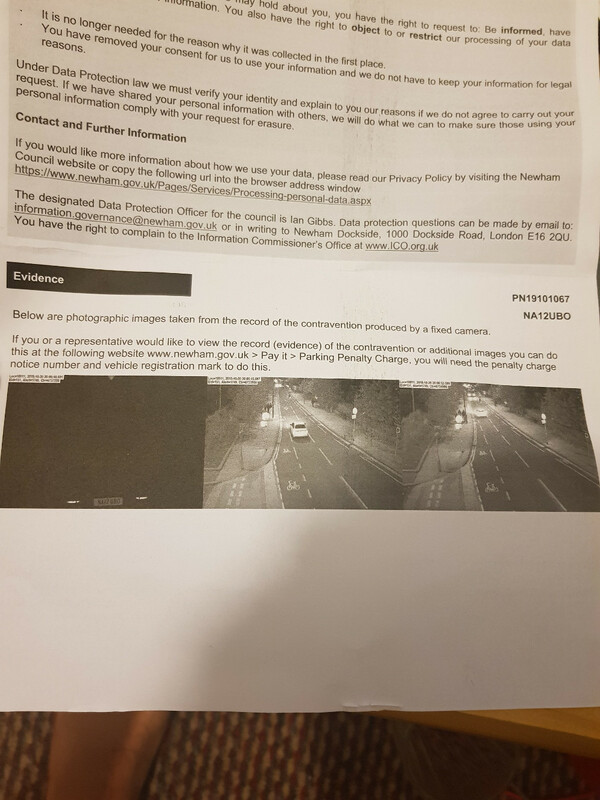 so last year i received a PCN through mail(20/10/18). this was because i was taking directions from a friend but basically i saw the no entry signs and pulled over as me and my friend were talking about it. i then decided to not go through. keeping in mind the no entry was just on a pole and no other signs on the road displayed anything other than a normal road. until a further junction which i did not cross. i then took a u turn and left. surely they should not be able to fine me just because i drove past a pole. 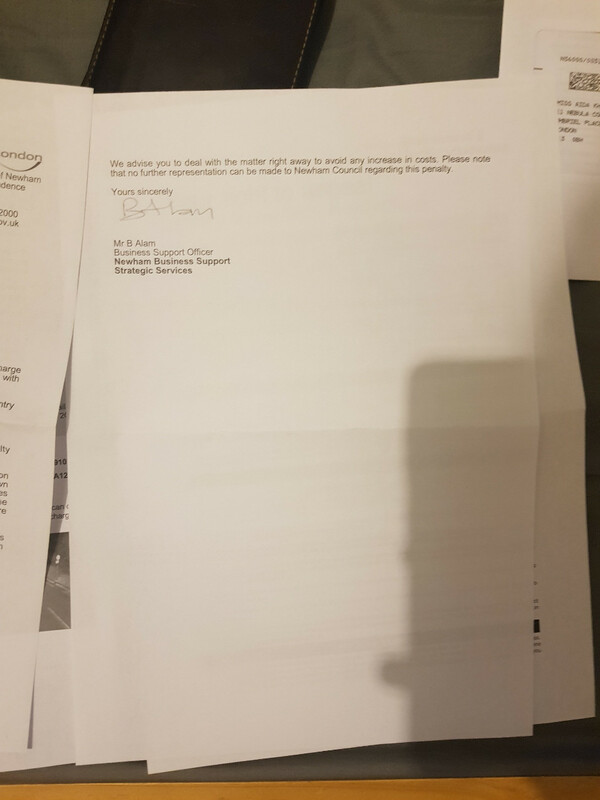 anyways i appealed on 01/11/18 and just today on 18/01/19 received a response. 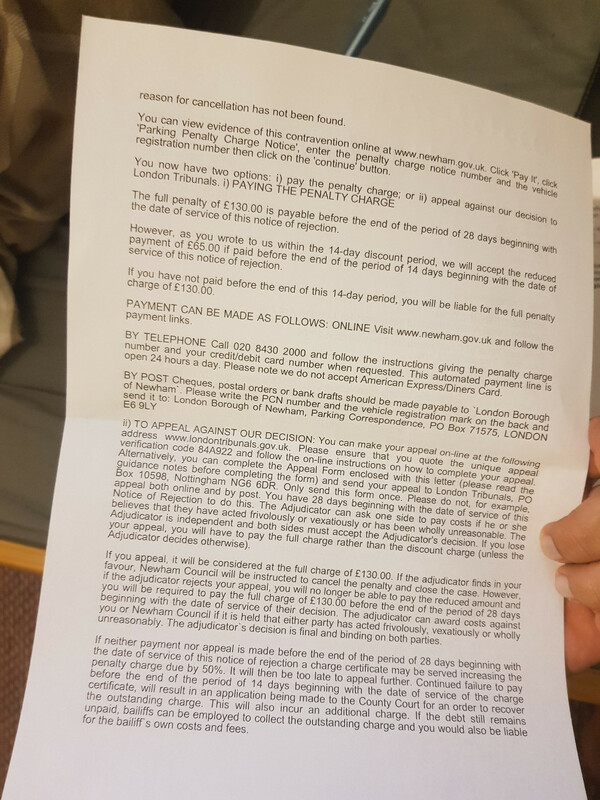 can i re appeal from london tribunal and claim the 56 day rule or anything else? thanks to anyone willing to help. Post all the documents you have. The video is the crucial evidence - do you have it? Put pics on https://imgbb.com or such like. i also have a receipt from when i sent the appeal. sorry, what video are you talking about? This is the infamous Temple Mills Lane - we have lots of cases here in both directions but hard to appeal I think. You can ask for subsequent video. I think though you went too far past the signs. As PMB says, you need to post things the right way up and include the full pages. The contravention is going past the signs, it makes no difference that you didn't go across the bridge. You're lucky this was in London, elsewhere in the country if the police saw you do this, you would get a £100 fixed penalty plus 3 points on your driving licence. I would pay the discounted penalty and put it down to experience. What other indication other than a No Entry sign would you have expecteed to see? Oh I'll just pay it then, thanks for the help everyone. I thought I could've used the 56 days to respond law but after looking around I think that's for something else. The key date in moving traffic PCNs is they have to serve it on you in 28 days - did you get the PCN within that time?  That applies if you are the registered keeper - can take longer for lease cars and certain other situations. 56 day rule is for replying to formal representation to parking tickets. 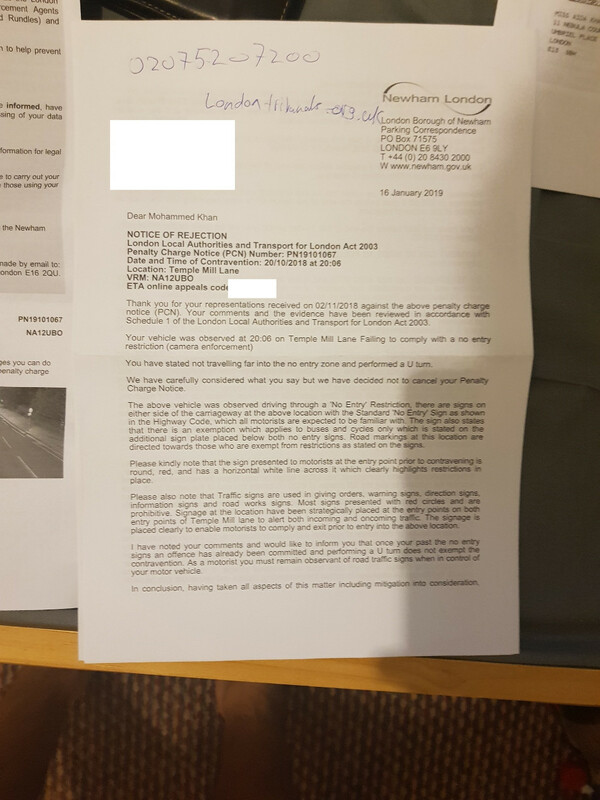 3 months is stated by London Tribunals to reply to moving traffic reps but it's not a legal rule. Yes sorry that's just for parking. Looks to me that you only stopped becasuse a bus was coming the other way. I'm sure that wasn't the case, but an adjudicator might think that too! Works fine when I entered it. Only thing I can think of --- VRM -are entering a zero for the 'O' ?